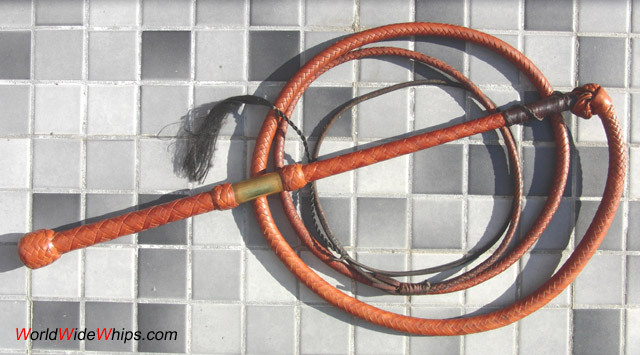 This 6 ft stockwhip has been made by Simon Martin. 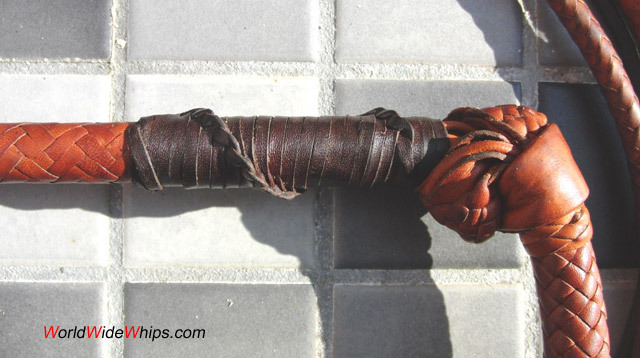 It features a double handle knot with a brass ferrule inbetween. 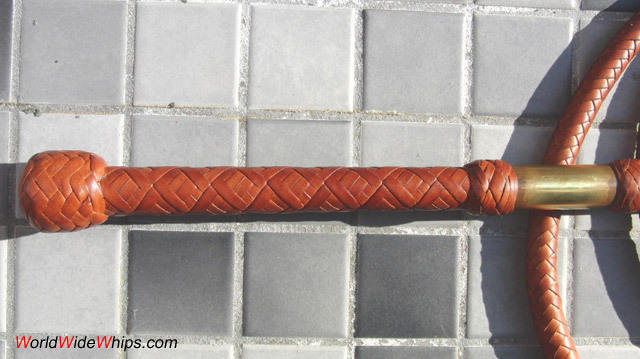 The handle is plaited in a bird´s eye pattern, rather unusual for whip handles. Note also the plaiting on the shaft and the french grapevine lashing at the keeper.